Travel has always been of interest of me. From growing up my family frequently went on a family vacation. We mostly saw educational historical sites, trying the local food, and taking in the local favorite past times. I thank them now for making me go to the museums when I was younger! My sisters and I would sometimes even play in the van when waiting in the car and imagine where we were off driving to in some far off land. I remember also looking at our map of the world that was as a tablecloth on our dining room table centerpiece wondering about the different perspectives and ways of life in many different parts of the world. From playing simple games such as “Where in the World was Carmen San Diego” I started getting a pretty good feel for the names of different countries and what some of the backgrounds of these uncharted territory was about on the globe. In college I studied abroad in London, England which was a great experience for me. I enjoyed every minute of my travels in Europe visiting many of the countries while I was there on my semester abroad. After college I accepted a job as an auditor at Ernst and Young Minneapolis. One of the main items when I was looking for a job was I wanted a firm that was global and more importantly had that outlook on the world. After a couple years at EY, a co-worker did a similar rotation in India and started looking into the opportunity. And so here I am after 4 years at EY, now in Bangalore, India. 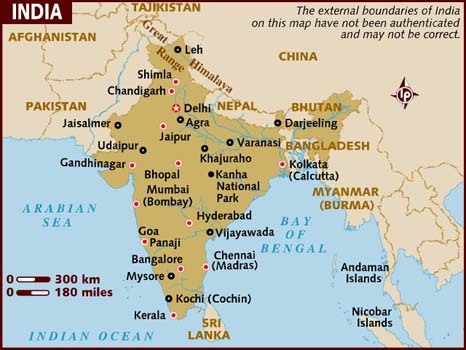 Map of India – I am in the South of India in Bangalore. It’s in the state of Karnataka.